Are You Ready to Experience Panasonic Mobile Phones? Panasonic is a well-established brand within the electronics industry for one very important reason: they back up their promises with real value. 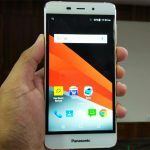 That value can immediately be seen in the line of mobile phones that Panasonic has to offer today. With prices that are fair and competitive, but features that aren't offered by other manufacturers at this price point, a purchase of a Panasonic phone can be made in confidence. Their reputation is strong. If your phone doesn't work right, then this manufacturer will do something about it. Why Choose a Panasonic Phone Today? Your journey with Panasonic begins with modern, innovative technology that will make sure you have all your needs met. Models like the P51 will have you connected fast thanks to its ability to handle 42Mbps. You'll get not one, but two HD cameras with the P51 and the primary camera is 8 MP of power that will capture 1080p video and play it back in true HD as well. The secondary camera is 1.3 MP and records in 720p for your convenience. Panasonic even includes a magnetic flipcover and stylus. What makes Panasonic stand out is the design of each phone is made specifically for those who need to multitask throughout the day. Your phone should be able to let you conveniently juggle your work and your relaxation without causing you to wait for a lag to catch up with you. With Panasonic, you're purchasing a mobile phone that offers a seamless performance with an IPS display that matches well with the sleek, streamlined case that will make people take notice. Need an upgrade? The P81 is the perfect phone to provide that for you. 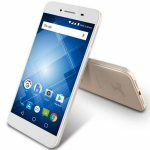 It's got 8GB of internal storage for your convenience, a 13 MP camera, and a 1.7 GHz octa core processor that displays on the 5.5 inch IPS HD screen. Panasonic is powered by Android, connects with 3G networks on several models, and allows you the opportunity to have all your needs met efficiently and affordably. Are You Ready to Explore What Panasonic Has to Offer? What makes Panasonic stand above the rest of today's electronics manufacturers is their corporate code of conduct commitment. First established in 1992, the goal is to unify a products with consumers in a way that contributes to their lifestyle in some way. Panasonic believes in keeping close ties with each community so that everyone can benefit from the products and services that are offered. Just as you can compare and contrast products today with one click convenience for a new mobile phone, this manufacturer offers the chance for a one stop resolution if you have a problem with your phone. Fairness and honesty are also part of this pledge. 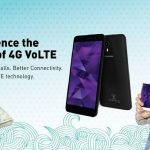 Without personal integrity, Panasonic realizes that there will never be respect for their brand – no matter how good their mobile phones or other electronics might be. 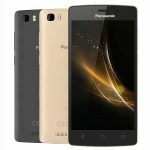 With this level of commitment, combined with the technology you need to connect to the network fast, you can rest assured that there is a Panasonic mobile phone at a price you can afford today.